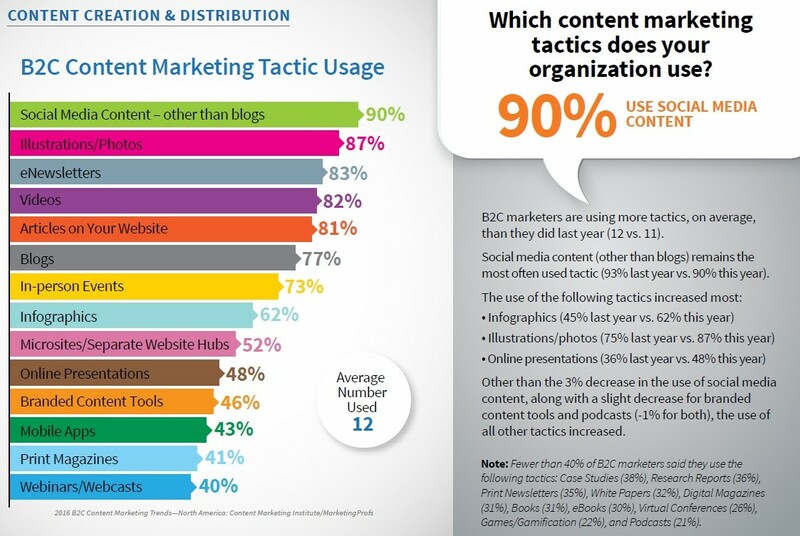 Inbound marketers and content marketers play different positions in the fight against content shock. Here are some tactics to help both play to win in 2016. When Brian Halligan of Hubspot coined the term inbound marketing back in 2005, he cemented the framework of digital marketing for the foreseeable future. But when you dig a bit, you'll see that our good buddy Joe Pulizzi talked about content marketing four years earlier in 2001. He notes while the idea was generating some serious interest, the term was definitely not. For awhile, marketers engaged in heated debates about content marketing vs. inbound marketing, from which came first to which strategy nested in the other. With the dawn of content shock, defined by Mark Schaefer in 2014, that debate is simmering down. We understand the majority of successful brands produce content that surrounds their prospects and ushers them through every step of their buying process. It can take the form of strict inbound marketing content or a purist's content marketing content, but everyone is in the game at this point. With this in mind, last year's inbound and content marketing are not enough to gain users' attention this year. Conceivably, it's too much. Schaefer argues that the brands able to overcome audience content shock will be the big spenders, either in time or cash. In 2016, dropping share counts force most of us to agree. Even accepting that premise and forking over the dough, Eric Enge suggested on the Moz Blog that (among other things) we're still going to compete. Ever bigger stars will vouch for ever bigger brands (inbound marketing); ever bigger budgets will produce ever bigger content (content marketing). Unless we've pounced on an opportunity to breathe new life into a dormant niche, one untouched by sands of the last ten years of digital marketing, we've got to pay. So how should we spend the time and the cash? In a massive call to both time and cash budget arms, successful brands will need unique, remarkable content for every stage of every persona. It's content shocking your own audience. Provide your audience with so much information around your alignment with them that they have no need to go elsewhere. Get your distribution and promotional channels into proper line, and they'll have little opportunity to think to go elsewhere. Think about the difference that this amount of content will make for your visitor. Today, they're reading your blog post about social media trends in 2016. After the designated X seconds, your popup asks them for an email address to receive...a free guide to AdWords? No more. You're smarter than that. You have more relevant content to offer that visitor than your latest published guide. They'll be reading about social media trends in 2016, and you'll offer them a pack of case studies on the topic. Or three videos from social media experts explaining the patterns. It's a ton of work. But understand that this is how content marketers beat fatigue, shock, density: Superpersonal, exceptional content handcrafted for each point in each customer's journey. Promotion, amplification, or what Mark Schaefer calls content ignition pushes extraordinary content into view. Not to the top, mind you, just into view. Content marketers can create the emotional, individually interesting content. But we charge inbound marketers with bringing qualified eyeballs in to read it. Generating a larger audience means digging into each piece of content you own with the explicit goal of finding new ways to amplify it. This is a bit ridiculous to bullet point because social media marketing strategy is a whole 'nother beast. You know what would be sweet of you? Offer your email subscribers some bonus content when you distribute. You post ten ways to do something? Give your subscribers five more (just make sure you tell them). Gate the bonus on the original post. If you're a purist sort, this is where we're bringing the content marketers back into the game. We're going to get a little deeper on a couple of these. Smart, dedicated content recycling is an imperative for both inbound and content marketing. Any marketer can copy a 1,200-word post into a SildeShare. The savvy marketers treat that post as an outline for an engaging presentation on that platform on its own. Creating new graphics, different structure, updated keywords, and a linked landing page optimized just for Slideshare visitors. Not into Slideshare? Turn three testimonials into a Facebook carousel ad. Rework your text-heavy FAQs on a static footer link into a video for YouTube. CoSchedule's Garret Moon repackages Ebooks into drip autoresponder email courses. You can also flip this repurpose, turning your welcome series into a series of realted blog posts, and then into an Ebook. I've turned popular social media posts like quotes with imagery into branded desktop calendar wallpaper. Yes, add images. Add a quote in front of a beautiful Unsplash picture via Canva, make an infographic of the information via Vengage. Then go further. Can you make an interactive tool from the information? When Buffer added a salary calulator to their original, informative post regarding transparent payment and adjusting pay for the cost of living, conversions (measured in applicants) doubled. Sure, you should start with content that's already a hit by your metric standards, but do not stop there. Plow through your less-successful posts or pages, get creative, and then light a fire under them. Found a post containing advice that was actionable three years ago? Great. Write a new article that references the old post, like Brooke B. Sellas did with her content distribution tactics for 2016. Talk about how and why you've updated your opinions, your workflow, your metric analysis. An article that addresses the needs of a general persona at a single stage will not be enough. You'll need to create unique, multimedia, 10X content for each of your customers, at every point in their journey. No matter the strength of your content, the strength of your promotion must be greater. Employ as many inbound marketing tactics as you can for every piece of content you own, and own up to paying for social promotion. Don't let the oppressive reality of Content Shock break you down.  If you are going to succeed in business, you need to do something better than most of the people you are competing with, and the world of marketing is no different.